Francis Lim weaves a fascinating story of the mahogany tree by blending together selected scientific facts with a rich concoction of medicinal folklore as well as elements like personal encounters, field studies and observations, experiments, and discoveries about the life and times of one of the world’s best-known tropical hardwood tree, the mahogany. The result is an endearing and engaging account of many aspects of this incredibly resilient and useful tree, including: the historical roots, botanical features like fruit reproduction and seed dispersal, traditional medicinal folklore, pests and diseases as well as a section on making handicrafts from parts of the fruit. The story is passionately told and illustrated with more than 120 photographs. It will enhance our understanding and appreciation of the mahogany tree and of all trees in general. 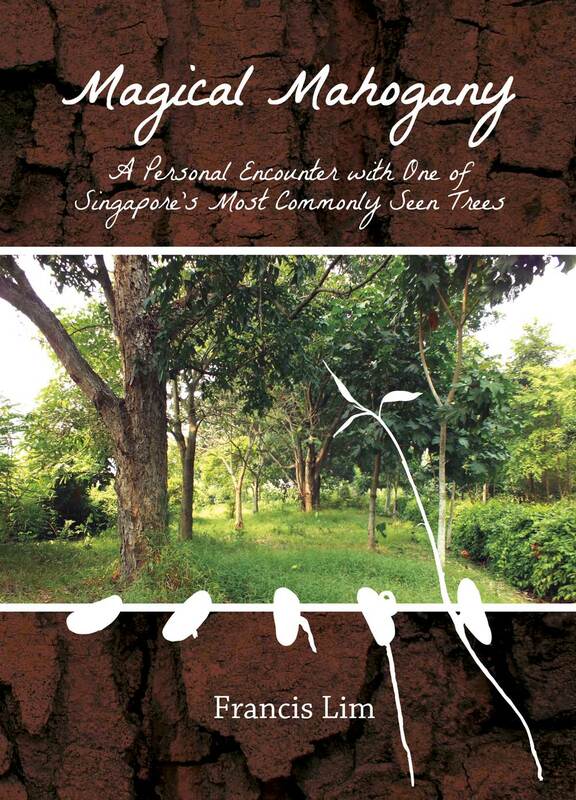 This is Francis Lim’s second book on a local nature subject, after The Singapore Mistletoe Story: An Expose Of A Botanical Marvel. Magical Mahogany: A Personal Encounter With One Of Singapore's Most Commonly Seen Trees can be purchased here. Francis Lim Leong Keng started his career as an animal-keeper in the Singapore Zoo way back in 1972 at the age of seventeen years. He was to remain with the zoo for over three and a half decades. His expertise and passion for reptiles is recognized by his contemporaries. In particular, Francis scored a distinction in the City & Guilds Certificate in Animal Management in 1998. He has been regarded as one of the few pioneers who have distinguished themselves throughout the zoo’s development and his contributions helped make the Singapore Zoo what it is today – a global leader amongst zoos. An advocate for nature education and conservation, Francis has published a number of scientific papers and articles in journals and magazines as well as several books, including Fascinating Snakes of Southeast Asia: An introduction; A Guide to the Amphibians and Reptiles of Singapore; and Tales and Scales. His achievements also include local and regional outreach programmes to create awareness and understanding for wildlife. He decided to retire in mid-2010 so as to pursue his own interests and has since gone on the path to champion all sorts of invertebrates – the creepy crawlies now has a voice to speak up for them. Now aged sixty, he has not stopped loving animals and nature and spends his time on writing, photography, mistletoe-spotting, and doing poetry workshops for kids, among other things. His curiosity about plants, specifically mistletoes, led to the publication of his latest book in 2011, entitled The Singapore Mistletoe Story: An Expose of a Botanical Marvel. It reads like a botanical novel, in which he chronicles his adventures and travels all over Singapore to find and study the eight species of native mistletoes, a number of which are critically endangered. Francis Lim’s other recent book was Once a Zookeeper: A Collection of Personal Poems, which is poetry uncaged, and in which he illustrates and anthropomorphizes the animals with easy-to-read prose. His experiences with the many animals that he has encountered over the years – both the large and small ones – enabled him to paint them with his creative imagination. Francis hopes to share his passion for animals and nature through poetry readings with all. We are pleased to announce the publication of Mosquitos And Singapore, a memoir by Ted Wilkins. 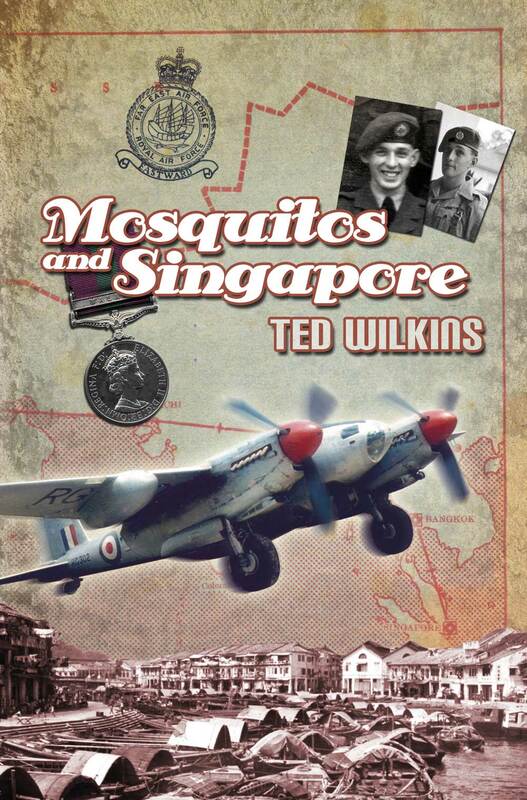 This memoir covers the three years in the 1950s during which a young RAF serviceman was called up for National Service and transported to Singapore from war-torn and rationed England for a “tour of duty” on 81 Photographic Squadron at Seletar Airbase in Singapore. Based on diaries, notes and letters written at the time, Ted Wilkins describes life on the Squadron and the aerial survey work concerning the “terrorists” during the Malayan Emergency. His autobiography also captures all the flavours and excitement of life on this fantastic island during the early fifties. Reminisces include a Malayan wedding, a visit to the Tiger Balm gardens, the Mosque at Johor Bahru and a picnic trip to adjacent islands. Through these pages, the author warmly describes how he embraced the customs and livelihoods of the island’s pleasant, always smiling people. Written in a humble manner, this book brings to life all the excitement of exploring a new and fascinating country, so far removed from the author’s previous country life at home. The climate, the people, all the hustle and bustle, the flowers, the clothes and colours of this “magical glamorous island”, are all lovingly captured in a remarkable way. Ted Wilkins was born at Ruishton nr Taunton. His family moved to West Chinnock, then Bridgwater and finally to the small country town of Crewkerne in Somerset. Educated first at St Bartholomews School and after passing the Eleven Plus exam, he moved on to Crewkerne Grammar School where he attained his School Certificate. Ted joined the Air Training Corps and upon leaving school, joined Westland Aircraft Ltd as an apprentice aircraft engineer. He became involved in many activities in the town, playing cricket for the Town club and winning the Area Cup doing Amateur Dramatics but all this was interrupted when he was called up for National Service. Not ever having been out of Somerset this became a real adventure as he suddenly found himself posted to the other side of the world, to Singapore. There, he joined the elite 81 Squadron who were busy doing aerial surveys of the Far East as well as being involved in Operation Fire Dog. When demobbed, he returned to Westlands, but then left for Blackbushe to work for Airworks, a civil aviation firm. Returning once more to Crewkerne he changed to the upcoming plastics industry and studied at Yeovil Technical College as well as becoming an active member of The Royal Observer Corps. He joined Peter Hodge and Associates as their site engineer and became responsible for overseeing the production and erection of cladding panels on such challenging buildings as Mondial House in London, the Radio Chemical Centre at Cardiff and the American Express Headquarters in Brighton. Lastly, he joined W&J Tod Ltd, the well known glass/fibre boat builders. Here he was instrumental in the introduction of new production techniques using autoclaves and pre-impregnated woven fabrics for use in aviation products. He retired from W&J Tod Ltd after having suffered a stroke. 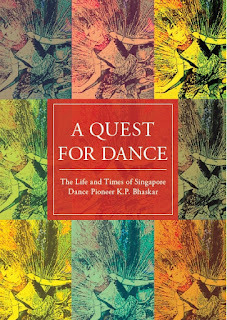 We are pleased to announce the publication of A Quest for Dance: The Life and Times of Singapore Dance Pioneer K.P. Bhaskar, an autobiography of the late Krishna Pillay Bhaskar, founder of Bhaskar's Arts Academy, Singapore’s premiere institution for Indian performing arts. The book is edited by C.M. Wong and N. Nedumaran. This is a story about a true dance pioneer in Singapore. Not only was K.P. Bhaskar a genuine pioneer within the island nation's Indian classical dance scene, he also witnessed and participated in seminal episodes that helped shape the overall performing arts landscape in Singapore. There were few in Singapore who dedicated their lives to the preservation, practice and promotion of the Indian dance arts with as much passion, perseverance and dignity, and sustained it over a longer period of time, than K.P. Bhaskar. Affectionately known as "Uncle" to his legion of students and to many in the arts community, he stood out as an outstanding example of how a personal voyage of artistic self-discovery inadvertently created a legacy, in the country that he chose to call home. 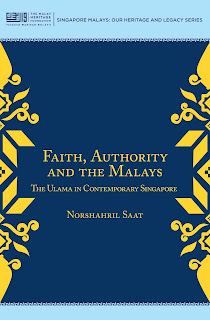 We are pleased to announce the publication of Faith, Authority and the Malays: The Ulama in Contemporary Singapore, from the Singapore Malays: Our Heritage and Legacy series, co-published with The Malay Heritage Foundation. Existing books, references and research papers focusing on the Malay community in Singapore are often written from an outsider’s point of view looking in. Publications by Singaporean Malays about the socio-historical development of the Malay community in Singapore are still few and far between. The Singapore Malays: Our Heritage and Legacy series aspires to bridge that gap by publishing a series of books that will encourage introspection and reflection on our social history and culture in a more in-depth manner. The titles in this series are purposely varied to include topics on culture and the arts, social history and cultural development, trends in religious practices and socio-economic life, and the spirit of enterprise of the Malay community in Singapore. This is to allow different perspectives and unique insights into the everyday lived-experiences and collective memories of our community to be brought forth. Each writer will analyse the various challenges faced by the Malay community in Singapore, from the nineteenth century to contemporary times, using his or her own lens and world view, supported by intensive research. We hope that the series will inspire further reflections, and deepen our understanding and appreciation of our heritage and our contribution to Singapore’s development as a nation. This book examines the nature of religious life among the Malays of Singapore by researching into the nature of religious elite and the basis of their authority or legitimacy. It examines the social-historical background of the ulama, their family roots, education, career paths, elements of thinking, and various forms of contribution towards enriching the religious lives of the Malays. 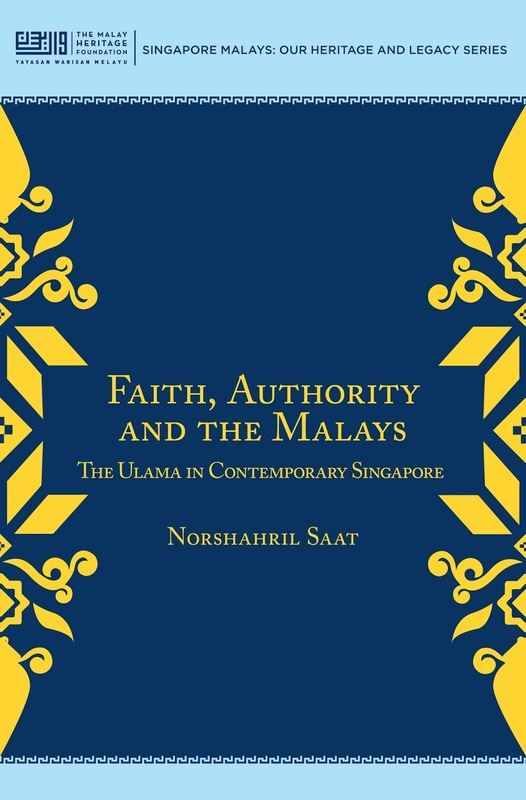 While furnishing useful information on the institutionalization and administration of Islam in contemporary Singapore, the author raises many pertinent questions on the religious lives of the Malays and Muslims in contemporary Singapore, as well as their relations with the wider world of Islam and Muslims elsewhere. 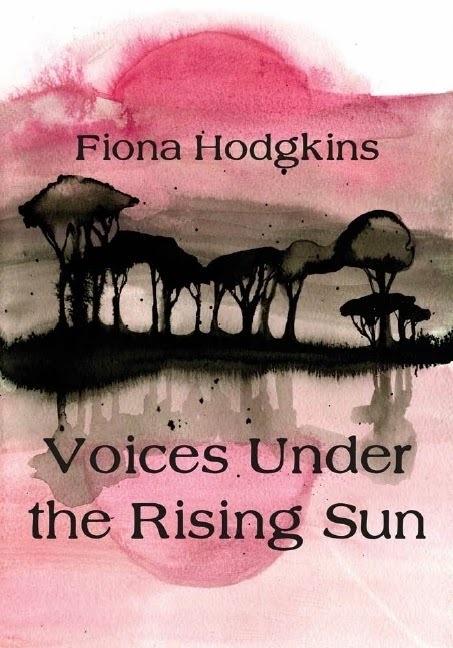 We are pleased to announce the publication of the children's book Voices Under the Rising Sun, by Fiona Hodgkins, under our Autumn Wonders imprint. Voices Under the Sun is a companion children's book to From Syonan to Fuji-Go: The Story of the Catholic Settlement of Bahau in WWII Malaya about the lives of those who went to the Catholic settlement of Bahau during World War II. For parents: Looking for a different kind of book to engage your child? Written in the form of both primary and secondary sources such as diaries, letters and discursive texts, this book will enable them to develop their skills of historical deduction but in addition to being an interesting and informative historical story, this book is also an educational resource for English writing. Fiona Hodgkins is a primary school teacher who has taught in England, Zimbabwe, Sharjah, Trinidad, Venezuela, Dubai and Singapore. A History graduate, whose passion for delving into the past has influenced her teaching, she has written Voices Under the Rising Sun for children as a companion piece to From Syonan to Fuji-Go, an in-depth book based on her research into the settlement of Bahau. She is married with three children and spends her life between England and Singapore where she works as an Educational Consultant. 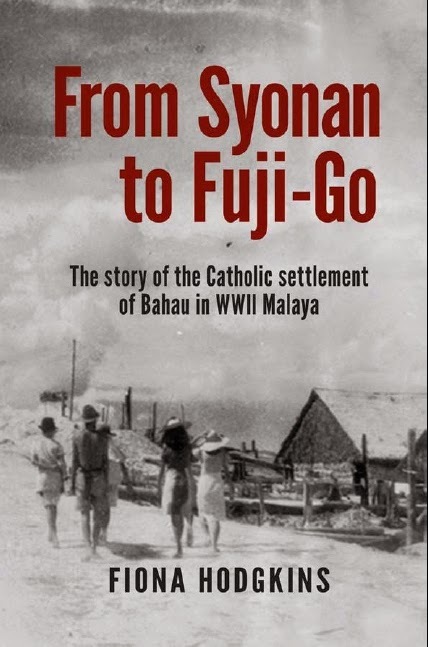 We are pleased to announce the publication of From Syonan to Fuji-Go: The Story of the Catholic Settlement of Bahau in WWII Malaya by Fiona Hodgkins. During the Japanese Occupation in World War II, some 3,000 men, women and children left Singapore to form a Catholic settlement in the jungles of Malaya, near the town of Bahau. Based on extensive interviews and access to private manuscripts, this book provides a vivid account of life in Bahau, and presents new insights into those who were there, why they went, and the lasting legacy of Bahau on their lives. It is also a moving account of the author’s journey of discovery about her mother, who was interned at Bahau. Fitting memory to those who died, honourable recognition of those who survived, and an important resource for future generations, this is essential reading for those who seek an understanding of an important part of Singapore’s history. "This book is a valuable contribution to our understanding of this period in Singapore’s history." "Fiona Hodgkins’s excellent encyclopaedic chronicle of Fuji-go is one of great value and significance – historical, informative ... beautifully written, enjoyable and absorbing." Fiona Hodgkins, a History graduate whose professional life has revolved around history and education, currently lives in Singapore with her family. Harnessing her passion for social history and living in Singapore gave her the unparalleled ability to research the story first hand which she has done in a thorough, professional and yet sympathetic way. We are pleased to announce the publication of Potret Puisi Melayu Singapura, from the Singapore Malays: Our Heritage and Legacy series, co-published with The Malay Heritage Foundation. 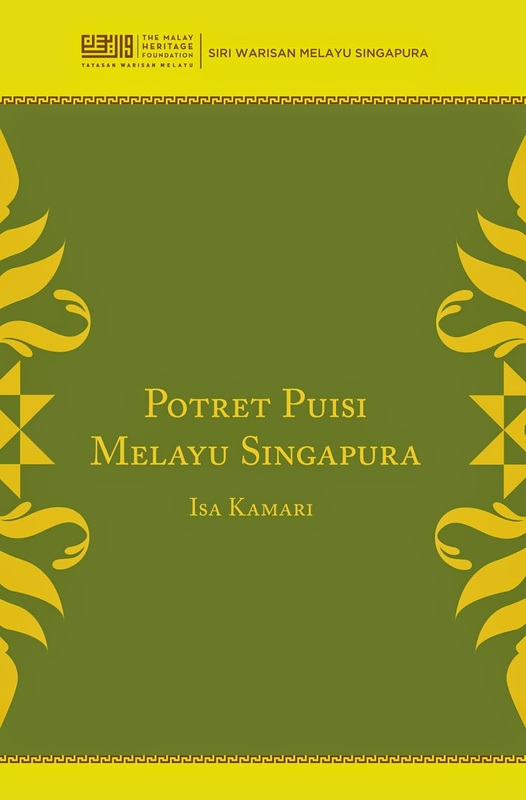 Written in Malay, Potret Puisi Melayu Singapura by the multi-award poet, novelist and Cultural Medallion (2007) for Literature, features the works of 44 Singapore Malay poets, from post-independence era to present time. They include established poets from the pioneer generation such as the late Masuri S N and fellow Cultural Medallion winners such as Muhammad Ariff Ahmad, Suratman Markasan and Mohd Latiff Mohd. His analysis also featured works from up and coming, emerging writers such as Jufri Supa’at, Noor Hasnah Adam (Goh Chok Tong Youth Promise Award, Distinction, 2007) and Chairul Fahmy Hussaini, just to name a few. This book will provide researchers and those interested in Malay literature with a glimpse into how the historical context, community and the individuality of the poet have given poetry written by our Singaporean writers its own distinctive identity. Isa Kamari has written eight novels in Malay, many of which have been translated into English. He has published collections of poems, short stories and plays. He also writes drama serials and documentaries for television. His awards includes S.E.A. Write Award, Singapore's Cultural Medallion and the Anugerah Tun Seri Lanang.